Are you at 80's child? 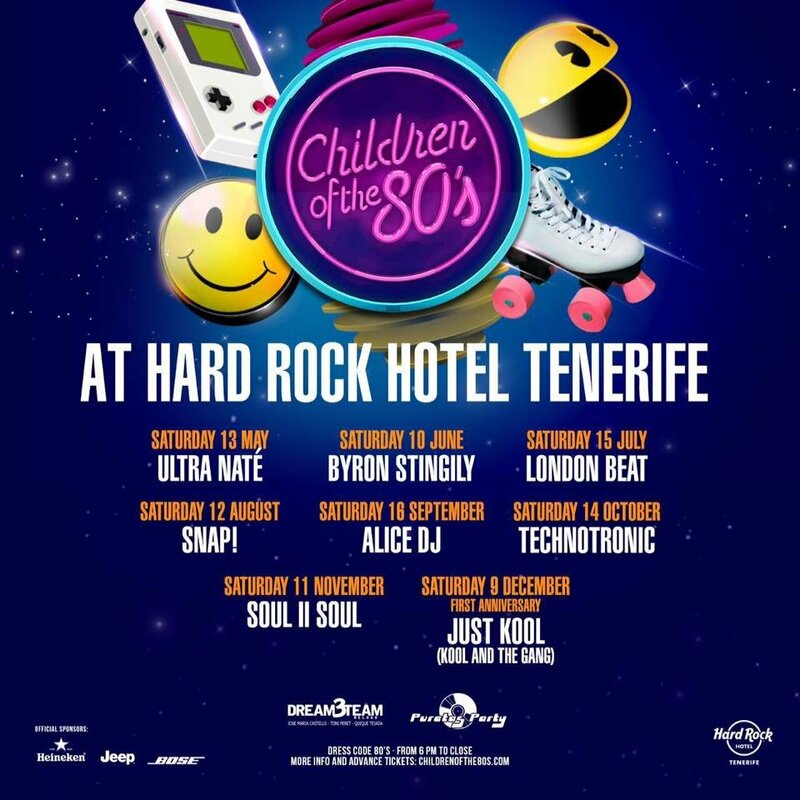 The Hard Rock Hotel Tenerife have shared their fantastic line-up of acts performing at the popular Children of the 80's themed nights through-out 2017. The next event will be on the 10th June with Byron Stingily, followed by a whole host of amazing 80's performers one Saturday a month to let your hair down to. The dress code is of course 80's themed. For more info and to buy tickets visit www.childrenofthe80s.com.